Gossip Girl actress, Jessica Szohr was seen looking stylish at the Petty Fest West wearing J Brand Jeans Minx Pistol Skinny Leather-Panel Jeans at the El Rey Theatre in Los Angeles. Gossip Girl actress Jessica Szohr appeared on the red carpet at the New York Premiere of The Weinstein Company's 'The Tillman Story' wearing an Armani Exchange denim waistcoat. 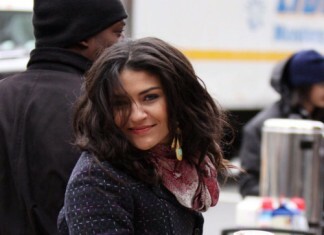 Penn Badgley and co-star Jessica Szohr were spotted looking quite chummy on the set of "Gossip Girl" yesterday morning. Doesn't Jessica look styling in her Rockstar Biker Jeans in Light Blue? I think so! Gossip Girl's Jessica Szohr attends American Eagle Outfitters Times Square Flagship Store Grand Opening Party wearing Anoname Paris skinny jean in Ash. Fellow cast mate Leighton Meester was the nights entertainment. YES! Finally I found them!! 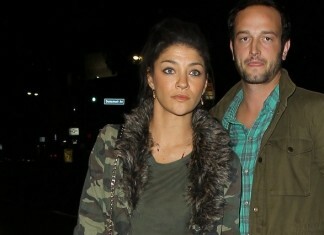 Back in July, Gossip Girl actress Jessica Szohr wore a pair of Joie Cillian Denim Cargo Shorts in Vintage Blue on set.